"A Love.... That Broke All Relationships"
This movie follows Dev who is a football player marries Riya who is a model. When he gets injured he depends on her for support. He thinks that his wife is seeing another man and catches her with a man named Rishi. He then confronts her about this and disrupts the family life that they have. 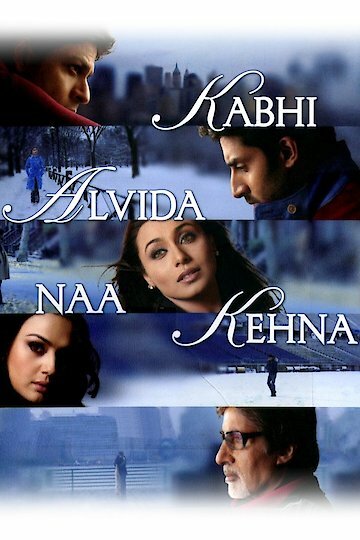 Kabhi Alvida Naa Kehna is currently available to watch and stream, download, buy on demand at Amazon Prime, Amazon, iTunes online.